Elsevier, EuroStemCell, and Kyoto University's Institute for Integrated Cell-Material Sciences (iCeMS), recently released a report enitled "Trends and Perspectives on the Evolving International Landscape" at the World Stem Cell Summit. This new, comprehensive analysis of the growth and development of the stem cell field as a whole, closely examines the research landscape for embryonic stem (ES) cell, human embryonic stem (hES) cell and induced pluripotent stem (iPS) cell. In order to provide a broad and transparent data driven view of the field, the study reviewed leading nations' research output, citation impact and collaboration behavior, as well as assessing international differences in focus and growth. The report combines a comprehensive publication analysis from Elsevier's Scopus, the largest scientific abstract and citation database, together with scientists' and other stakeholders' views on current progress and future expectations of the field. Findings will be presented at the World Stem Cell Summit and discussed by Stephen Minger (GE Healthcare), Norio Nakatsuji (Kyoto University iCeMS), Brock C. Reeve (Harvard Stem Cell Institute), Deborah J. Sweet (Cell Press) and Brad Fenwick (Elsevier) on the 6th December. Stem cell research is growing twice as fast (7%) as the world average growth in research (2.9%). For the recent area of induced pluripotent stem cells (awarded the Nobel Prize in Physiology or Medicine in 2012), the annual growth rate since 2008 is an astonishing 77%. Stem cell publications are 50% more cited than the world average for all related subject areas, with the following field weighted citation impact (FWCI). ES cell publications maintained a citation impact of above 1.80 (2008-2012), while the hES cell citation impact declined marginally from 2.35 in 2008 to 2.08 in 2012. The emerging field of iPS cell research showed the highest impact within the stem cell field, with a FWCI of 2.93 (2008-2012). Around half of all stem cell papers use keywords related to "drug development" or "regenerative medicine" -- Reflecting the field's ongoing development and clinical promise, 47% of stem cell publications used keywords related to regenerative medicine, while 2% used keywords related to drug development. However, iPS cell publications featured drug development more prominently (11% of iPS cell publications), and these papers were also associated with higher citation rates. While Singapore, Italy, the USA, Japan, and Israel show the highest level of activity in stem cell research the US and China show the highest volume. 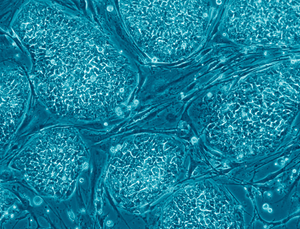 Stem cell research holds great potential to revolutionize healthcare. Investments into this field strive to deliver new treatments for many serious conditions for which few effective treatments currently exist. Some basic research findings are being translated into new treatments, and with the discovery of induced pluripotent stem cells in 2006, the field has seen a step-change in biological understanding that will affect the way new drugs are identified and tested and, potentially, the way cells can be generated in the lab. While the field has attracted priority status in many countries, it has also been the focus of continuous discussion around ethics and regulation with each nation taking its own policy position, some of which have had a clear effect on the dynamics of the field. "The challenge for the coming decade is to expand on multi-disciplinary and multi-sector collaboration aimed at large-scale production of high-quality human pluripotent stem cells, and also, robust and reliable production of high-quality differentiated cells, in order to provide adequate support to accelerate such research, a nation should take an evidence-based approach with an understanding of the global trend from a multitude of perspectives." said Professor Norio Nakatsuji, Founding Director of Kyoto University, iCeMS. 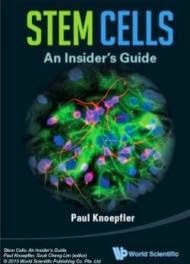 "This report gives us a bird's eye view of the international stem cell field, drawing on advanced bibliometric techniques to identify national and international trends -- where is stem cell research strongest, where is the sector developing fastest, are the results of individual funding initiatives translating into high impact publications, and so on. It has been extremely interesting to analyse these data, they contain a lot of provocative information. We hope readers will gain a new understanding of the shape of the field that will stimulate future policy discussions." said Professor Clare Blackburn, MRC Centre for Regenerative Medicine, University of Edinburgh and the Project Coordinator of EuroStemCell. "The aim of this report was to support development in stem cell science and policy discussion by bringing together comprehensive analytical overview of the fields together with insights from experts. We are proud we have been able to collaborate with EuroStemCell, Kyoto University, iCeMS and the experts who have provided their valuable input." said Nick Fowler, Managing Director of Academic and Government Institutions for Elsevier.